TravStar1 Point Of Sale SystemRegister Manual End Of Day ProcessHow Do I Close My Shift on the Register? How Do I Close My Shift on the Register? This lesson will teach you what steps to follow on the register at the end of your shift. From the main screen, touch the "Manager Keys" button. Touch the "End of Shift Z" button. You will be prompted for your password. 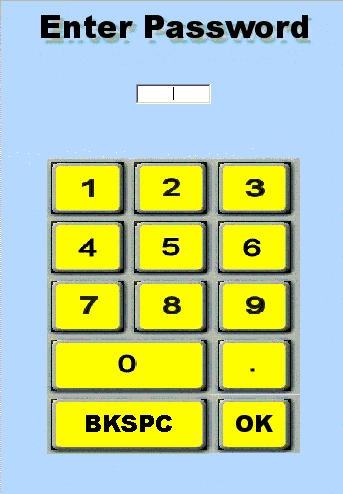 You can enter your password using the on screen keypad or the number pad on the keyboard. You will see a message indicating that your Z Report is processing. When the Z Report is finished processing you will see a message indicating that the End Of Shift is complete. Finally, you will see a message indicating that the register is transmitting data from the register to the Managers Work Station. Prev: How Do I Print a Credit Card Batch? Next: How Do I Close My Day on the Register?